It’s President’s Day and what better day to reflect on the past as well as where we’re headed as a nation, especially during the height of this campaign season. The candidate who wins the election this November certainly has some big shoes to fill. While analyzing and comparing the candidates, sometimes it’s good to take a break from the craziness of the election process for a little humor, so today I have a random and somewhat quirky question for you. 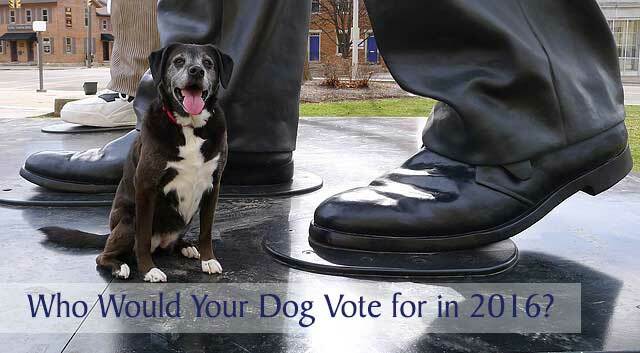 Who would your dog vote for if they could choose our next president? Who Would Your Dog Vote For? If your dog’s a female, would she choose Hillary Clinton? Girls gotta stick together, right? Would your dog choose Bernie Sanders in hopes of getting included in the dispensing of lots of free stuff? Those treats and bones aren’t cheap, you know. What’s this about Ted Cruz and dirty tricks? That sounds an awful lot like getting rewarded for rolling in the mud. Fun! If your dog doesn’t listen to commands the first time, maybe Marco Rubio is their guy. He does repeat himself a lot. 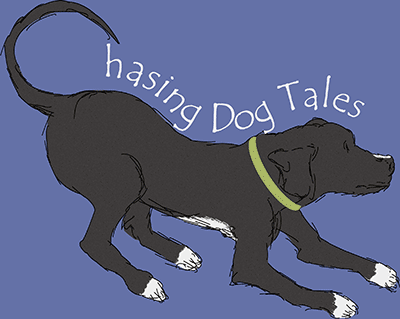 Perhaps your dog might like the calm, low-energy personality of someone like Jeb Bush or Ben Carson. A high-energy, boisterous dog might prefer Donald Trump, who’s also not afraid to call out cats in his own unique way. Then there’s John Kasich who would want all dogs and cats to just get along and play nice. It’s a lovely thought, but not likely to happen. I have to admit, Haley and I probably don’t see eye to eye on politics because she would vote for anyone promising free bones or treats. All kidding aside, this may be one of the most important elections in our lifetimes because of the difficult challenges our country is currently facing. I hope you take the time to get to know all of the candidates before voting in your state’s primary and later this fall in the general election. Don’t just rely on sound bites, headlines or superficial reasons when making your decision. Take time to visit each candidate’s website to learn more about their ideas and plans, watch the debates, watch some of their interviews (most can be found on YouTube) and use a variety of sources to gather information so you can make an informed decision before voting for the candidate that best represents your values and vision for the country. How about celebrating President’s Day by learning more about the candidates? If you’ve already made up your mind, have some fun and share your answer to “Who would your dog vote for?”. This was a FABULOUS post! It was hilarious and love that you included the history of this day, which I was too lazy to do this time around! Just fabulous! Thanks so much, Caren! It was hard not to get carried away with the humor, but I restrained myself, lol. ? BOL! I’m not sure who Honey would vote for in the current election. But I know she wouldn’t have vote for Mitt Romney (who traveled with is dog in a crate on top of the car) or Lyndon Johnson (who used to pick up his beagles by the ears). On a more serious note, I suggest the I Side With website for people who are trying to decide. It’s a helpful tool to see who you really line up with aside from the ads and sound bites. And it allows you to weight certain issues more strongly than others. Thanks so much for sharing the isidewith.com website! That’s a wonderful tool for anyone that doesn’t have a lot of time to follow politics and all the candidates. I took the quiz and was amazed at how accurate it was. It confirmed my own analysis about the candidates I like and dislike. That was an interesting fact about Lyndon Johnson too. Rand Paul had a lot of support and always got the most applause at the early debates. I wish he would have stayed in a little longer because I liked his position on fiscal responsibility. Loved this post! I am pretty sure Ruby would vote for the candidate who vowed to rid the world of “no dogs allowed” signs! Yes! Why didn’t I think of that, lol! ? Since I’m a Green Card holder, I can’t vote here in the States, but I certainly hope that everyone who DOES vote takes the time to research their candidate before giving them their voice. Great advice! I think the dirty trickster would definitely win the dog vote unless they get nosed out by the one with all the free bones and treats, lol! We’d vote for Freddie from Mike Rowe’s Dirty Jobs!! I didn’t know Mike Rowe had adopted a dog. Freddie is adorable! ? 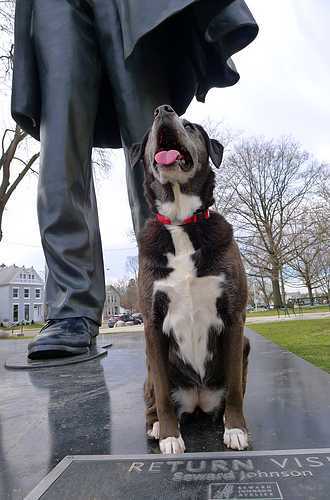 I think Cocoa would go for John Kaisch. Everyone getting along and playing at the dog park!! It is so important to do our research and not rely on what the media wants us to know. They go over the same things and only seem to focus on the craziness. Yes, you do have to look at more than one source of news and information. I think what scares me the most are the people that don’t pay attention at all to what’s happening. It’s shocking how little some people know when they conduct those street interviews asking people basic questions about politics and current events. I always hope they’ve edited their footage to show only the worst responses. LOL brown dawgs love Trump. Giving a big high-five to brown dawgs! ? I purposely avoid any and all politics so there are only two candidates on your list I have even heard of! I feel like I have gotten to know them all a little through a dogs eyes, which is probably the best way. Thank you for reminding everyone to be educated voters. We don’t have general primaries in my state so thankfully I don’t need to start my thorough election research for many months still. That’s an interesting way to view the candidates, through a dog’s eyes. I wonder which candidates are dog lovers or have dogs. I usually follow politics, but this past year has grown really tiresome. It seems like such a big circus, and the older I get the more frustrated I become with all the wasted money on such ridiculous campaign efforts. I know at the root there’s some important decisions/causes – but it’s all over shadowed by sound bites like you mention. It’s just frustrating to watch, it all seems like a big joke. But that aside I’m pretty sure Laika would feel the Bern – and me? Well I’m pretty liberal so I’m inclined to do the same. It’s amazing how much money goes into campaigns and all the influence that’s being bought. I hope one day there’s some serious campaign finance reform. It’s sad that usually only very wealthy people can afford to run for high office. 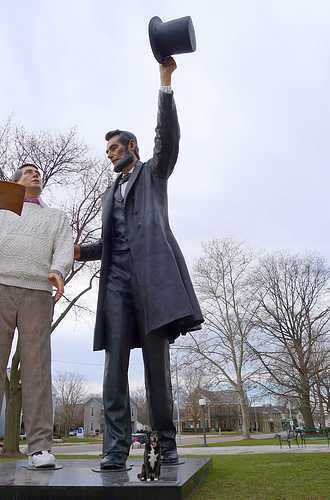 We could really use Abe right now, couldn’t we? Good choice, Happy!